When it comes to real estate, kitchens and bathrooms typically sell houses. While you may not have enough money for a kitchen remodel, adding a bathroom can be a more affordable way to enhance your property and catch buyers' attention. By adding another bathroom, you immediately increase your chances of your home getting noticed. Technology makes it simple for buyers to search properties of interest by their designated criteria. One of those is "minimum number of bathrooms." By adding to that amount in your listing, you'll be getting in front of that many more potential buyers. Bathrooms increase a home's value and add to its functionality — both elements that buyers desire. 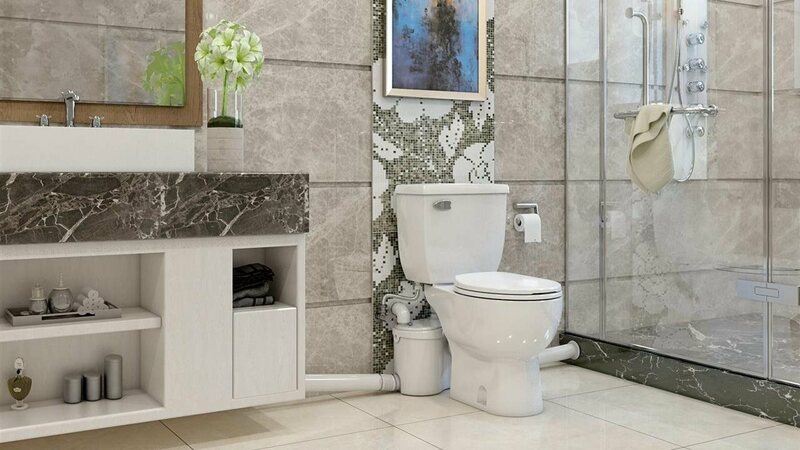 Homeowners researching opportunities to add a bathroom to their property presale consider enhancing basements, garage slabs and other spaces so contractors can add plumbing systems with conventional in-floor drainage. If you have a space that would be ideal for a bathroom but appears to be impossible due to the need to break through concrete or other types of flooring, there's another solution to consider: above-floor, macerating plumbing systems. Developed a half century ago in Europe, these systems are still relatively unknown in the U.S.; however, they offer a vast opportunity for homeowners. Macerating systems from makers like Saniflo (Saniflo.com) reduce waste and paper from the toilet and send it under high pressure through piping directly into the septic or sewer system. No waste is stored, and the systems are low-cost compared to traditional plumbing. Systems are discreet, quiet and open the possibilities of affordable additions in less time. Owners of slab-built homes may hesitate to cut into the concrete foundation to accommodate conventional plumbing. No matter how careful a contractor is when cutting into concrete, problems can arise — from unexpected obstructions to poor-fitting patches and even stress cracks. Above-floor plumbing systems eliminate the need to cut into the slab, so integrity isn't compromised. If your home is built with a basement, bathroom additions can be problematic due to concrete and existing plumbing limitations. Above-floor, macerating plumbing is a smart solution for fast, cost-effective bathroom additions in lower-level rooms. In cities across the country, warehouses have found new life as condos and apartments. But heavy brick construction can make adding traditional plumbing difficult. Above-floor plumbing eliminates the need to cut into or remove bricks, and allows renovators to install attractive, cozy bathrooms in smaller spaces. Imagine how upgrading a one-bath condo to a property with two bathrooms will enhance resale. If you're preparing your home for the real estate market, you want it to stand out. An extra bathroom can help you do that and attract high bids from buyers.